Impact Technology are exporters of used copiers, shipping them around the world. 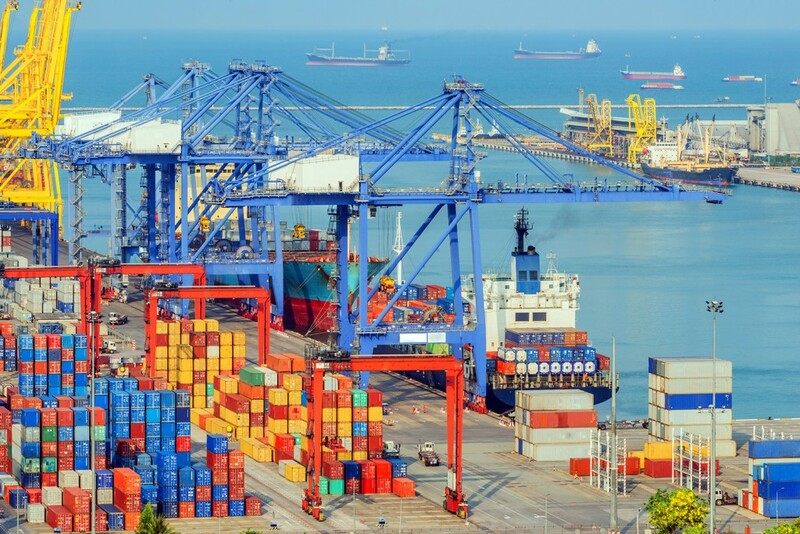 We have a database of reputable local freight forwarders we can recommend or you can use one you currently work with or have worked with previously. As part of our value-added services, Impact Technology will provide all decking materials and labor to build a secure frame inside a 20 ft. or 40 ft. container so your copy machines will be double stacked and secure for vessel shipment. The cost for the decking and protective materials including labor is $1,150(subject to change). Our export copier staff is highly skilled at loading every container with care to ensure all copiers arrive to their destination without sustaining any damage. Impact Technology proudly houses an average of 6,000-8,000 used copiers in stock at all times. This makes us your #1 export copier company, since we always have a wide selection of brands and models ready for exporting. We carry the most popular brands including Canon copiers, Ricoh copiers, Toshiba copiers, Sharp copiers, Konica-Minolta copiers, Kyocera copiers, Panasonic copiers, Risograph duplicators, Xerox copiers and many other products. If you wish to browse our inventory for specific brands, simply click on the brands of your choice on the bottom of this page or any web page on our site. 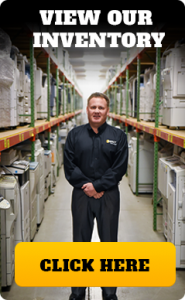 We also have a friendly and knowledgeable staff at our Long Prairie, MN location available to answer questions about our export copiers or to help you find the copier brand and model you’re looking for. Our inventory is updated on a daily basis, so make sure to check back often. We receive up to 1500 copiers per month! Copiers are sold as is – no warranty expressed or implied. Copiers should not be considered retail ready- these are used wholesale copiers. All sales are FOB Long Prairie, MN or Dallas, TX. Export Sales accept only wire transfers. At time of order placement, a deposit of 20% of invoice value will be required to hold your copiers and/or printers. Payment in full must be received and confirmed at least 5 business days prior to container loading. Copiers will not be pulled if payment is not received within this time frame. Forfeiture of full deposit amount. All deposits are non-refundable! Container loading as well as IPPC materials for decking can be provided, price is subject to change. Current Price is $1,175. Parts and consumables, (such as drums, toner, imaging units, gears and rollers) are not guaranteed. While Impact makes every attempt to provide accurate information for each asset, we cannot be held liable for any errors/omissions/changes in condition. Impact Technology reserves the right to modify these terms at any time without prior notice. Any serious discrepancy with your order should be discussed with your sales representative. Impact Technology Inc provides live loading out of our Minnesota office and drop loading out of our Texas office. Loading dates may not be scheduled until your invoice is paid in full- no exceptions. Customers are responsible for all forwarding and transportation costs.